Professor Gana, a former Minister of information, filed the suit at the FCT High Court in the Maitama area of Abuja, asking it to nullify the emergence of the former Cross River State governor as the SDP candidate on the grounds that the process that produced him violated the constitution of the party. Mr Duke had polled 812 votes to defeat the former minister who scored 611 votes at the SDP National Convention held at Old Parade Ground in Abuja on October 7. 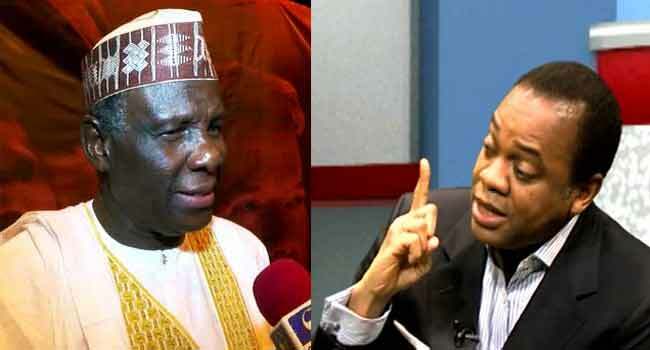 Professor Gana, however, claimed that the convention of the party which ushered in Duke as the presidential candidate of the party was illegal and flawed. “The provision specifies that the position of national chairman of SDP cannot come from the same part of Nigeria,” the presidential aspirant added. He also told the court that the party’s constitution provides that if the chairman comes from the southern part of Nigeria, then the presidential candidate must come from the northern region.